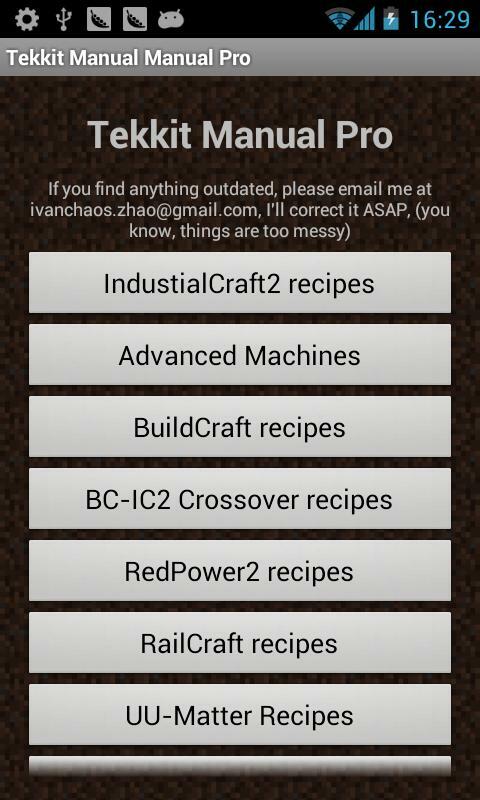 Tekkit Manual Pro is your All-in-One quick reference app for Minecraft/Tekkit players. ), I'll fix it ASAP. Why? ), I'll fix it ASAP. Why? Because you know, things are too messy for a single person to manage, so your help is much appreciated!